For years now, the Schuberth C3 Pro has been the 'go-to' flip-lid motorcycle helmet. It’s a top quality bit of kit that works. Bits don’t fall off, and it will stand up to the rigours of the daily commute. It’s technically the quietest helmet on the market, and Schuberth has always been ahead of the game when it comes to comms.. But earlier this year, Schuberth released a new helmet called the C4. So where does it fit? Will it replace the C3 Pro, or sit alongside it? And what about the original C3 that is now called the C3 Basic? Well, we’ve lived with the C4 for a few months, and the C3s for a number of years, so here are our considered thoughts. The new C4 looks great. It’s more modern and somewhat sportier than the C3 which, by association, has come to have a touch of the ‘Old Bill’ about it. Not that, for us, this is a downside. If those guys choose to ride in C3s, that can only be an endorsement in our eyes. One of the USPs of the new C4 is its trick comms. compatibility. It comes totally pre-wired, with a microphone in the headband, so there’s no annoying boom sat on your lips all the time. If you want to activate the comms., you simply buy what is called an SC1 pack, and install the ‘brains’ and battery into compartments in the underside of the neck roll. Simples, as Sergei would say. But, in some ways, and for some bikes, we would contend that the C3 Pro is more appropriate, and frankly better. Firstly, noise. Schuberth haven’t announced a decibel rating for the C4. If it had been quieter than the C3 Pro’s 82 decibels, they would have made a song and dance about it. The fact that they haven’t tells us that the C4 is no quieter and, in all probability, it is somewhat noisier. And clever and high-tech as the C4’s comms. system is, in terms of pure functionality, the C3 Pro’s still has some benefits. The C4 is very much plug and play, but to install the C3’s Sena system takes only minutes; and any half-decent dealer will install it for you for free. 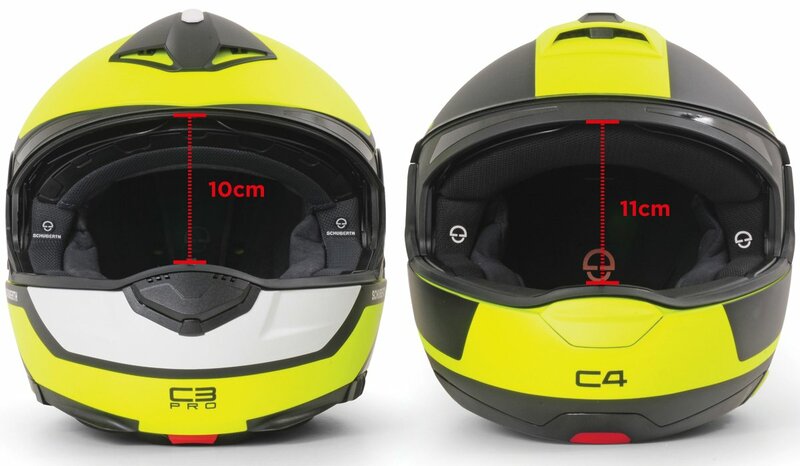 At its core, the system in the two helmets is pretty similar, but the talk distance in the C3’s system, at one mile, is better than the C4’s reach of just 1000 metres. If the C4 had been launched last year, it would have had one major benefit over the comms. on the C3. And that would have been the absence of a boom microphone. It was irritating and uncomfortable, and got in the way when closing the front. But when Schuberth moved away from Cardo to Sena, that problem disappeared, because the microphone on the Sena is so discrete and unobtrusive that you almost don’t know it’s there. Which brings us to perhaps the most interesting question. What is the C4 and why did Schuberth launch it? Was it just to show off its clever intercom technology? Or just an opportunity to make Schuberth look cooler and more modern? Well, if the C4 had been designed to replace the C3 Pro, one might have concluded that. But for many years to come, the C3 Pro will stay in the range. In our considered opinion, the C4 has been designed to be worn on sports bikes, or at least on bikes with a more aggressive riding position. Laid flat on a surface, the angle of the C4 visor is less vertical. It faces upwards more than the visor of a C3. The C3 Pro is the benchmark flip-lid, beloved by commuters, long-distance travellers and the boys in blue. The C4 is a very smooth and streamlined flip-lid with a sporty look and state-of-the-art comms..
What this means is that if you’re leant more over the bars, you’ll have a better view up the road. By contrast, if you adopt a more aggressive riding position in the C3, you’ll naturally look downwards, and will have to strain your neck upwards to look down the road. The C4 has also has a larger visor aperture that again gives better upward visibility. And we understand why Schuberth might have gone down this route. Over the years, flip-lids have become more accepted and, of course, with their tighter neck rolls they are in general quieter than full-face helmets. It does not surprise us, therefore, that some bright spark in the marketing department might have come up with the idea of a flip-lid for sports bike riders. It makes total sense. But, in the final analysis, Schuberth has lacked the courage of its convictions, and has hedged its bets. 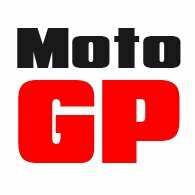 In its literature, the company has talked about the C4’s suitability for ‘sports riders’, but hoping that they could also sell the new helmet to its legion of GS and adventure bike riders, they have also suggested that it is appropriate for touring. And, of course, it is. It’s a great helmet, and there’s no reason you shouldn’t wear one on an upright bike, but there can be little doubt that Schuberth had sports bike riders in mind when it embarked upon its latest helmet. Which is why we tend to the view that for many riders who ride bikes that offer more of a ‘sit-up’ riding position, the C3 Pro will often be a better choice. The visor apeture on the C4 is larger than the one of on the C3. It allows one to look upwards more easily, making it the better helmet if you ride a bike that necessitates leaning over the bars. And that’s without factoring in the cost. As we go to print on this catalogue, a white C4 costs £549.99, whereas a white C3 Pro costs £469.99. It’s not an insignificant difference. It’s the subject of price and cost that neatly brings us onto the C3 Basic, the helmet that was replaced by the C3 Pro about three or four years ago. The C3 Basic is still a terrific helmet that is, even today, technically the second quietest helmet on the market. When the C3 Pro was first introduced there were quite a number of marginal improvements over the model it replaced. The C3 Pro was two decibels quieter than its predecessor. It had better venting, more downforce, a plusher interior and so on. Many of the improvements were minor, and a number were not visible to the eye, but there is little doubt that the C3 Pro was a better helmet in a number of respects. What Schuberth then did, in order to put clear blue water between the two models, was to lower the price of the older model. They reduced the number of colourways to three plain colours, and removed the Pinlock visor. As a result, the plain white C3 Basic comes in at just £329.99 that’s a huge £140 saving on the Pro. The visor of the C3 sits in a more vertical position than that of the C4. On an upright bike this will make almost no difference, but if you ride a sportsbike with a more aggressive riding position, the visor on the C4 will allow you to look further down the road without having to strain you neck. 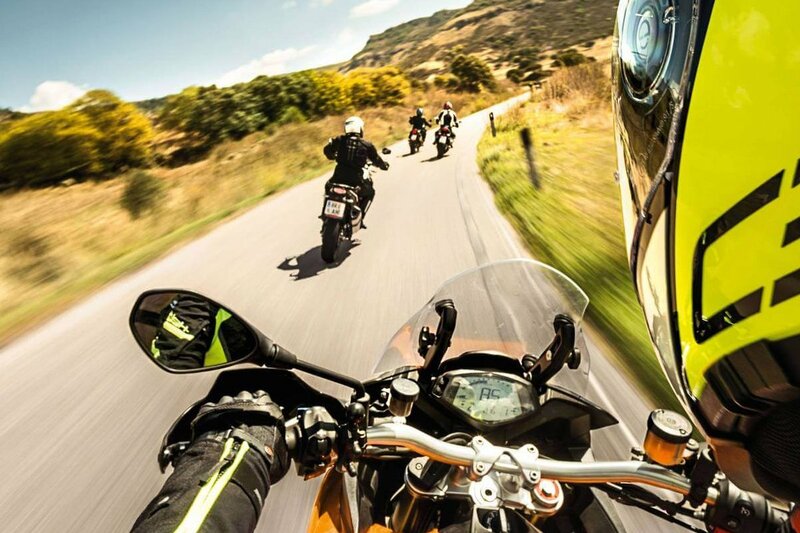 If you’re a sportsbike rider, therefore, the C4 is probably the one for you. Finally, let’s touch on the prices on the comms. for the different helmets. The Sena comms. system that goes into the C3 and C3 Pro is called the SC10U. It costs £230. There are two systems for the C4. The standard SC1 costs £190; the Advanced is £285. The Advanced has a longer battery life, an FM radio facility and music sharing. Don’t forget, of course, that when you buy a comms. at the same time as a helmet, you save the 20% VAT on the comms.. So where do we end up? Well, the C4 is a technical tour de force. Its comms. package is very neat. It’s a great looker, but even Schuberth would have to admit that it has a more sporty bias. The C3 Pro will, for many, continue to be a better helmet. It’s cheaper and quieter; it’s more suited to upright bikes, and has a comms. compatibility that is better than the C4’s in some respects. The C3 Basic is not as good as the C3 Pro in a number of areas, but if you’re on a budget it represents excellent value for money. It gives away nothing to the C3 Pro on comms. because it takes the same SC10U unit. You pays your money and you make your choice. It’s as simple as that!